The scanner is designed to detect fingerprints of weapons, ammunition, explosives, explosive substances in public places or high-risk facilities to ensure security against terrorist threats. 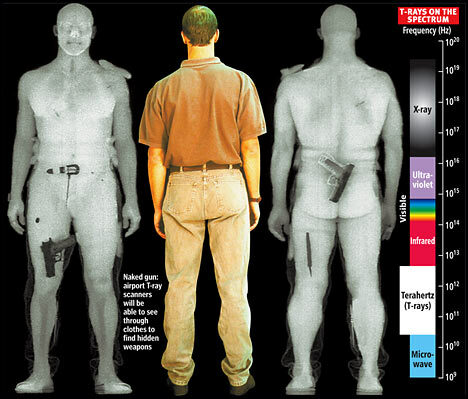 Detection of dangerous subjects on human body is done by multiple channel radiometric scanner. The Scanner consists of: antenna, receiving unit of 3 mm radiometric bandwidth, processing unit (integrated computing machine), display device (monitor). The scanner operates in the frequency range of 80 ... 100 GHz. It is able to scan 1 х 2 m space with 3 х 3 mm resolution at a distance of 5 m. The scanner dimensions are 75 cm x 25 cm x 60 cm, the weight is 18 kg. Operating temperature range from +5°C to 35°C.